Over the weekend of 13th and 14th May we will be hosting members of the Regia Anglorum early mediaevel reenactment and living history society. They will be setting up camp around the clubhouse with both historical and modern tents and bringing their 36' warship/cargo ship 'The Bear' to sail. 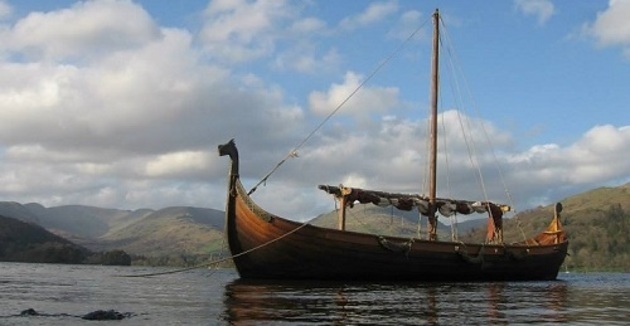 This is an event for members of the society rather than a public event but club members, their guests and any of our 'Push the Boat Out' visitors are welcome to enjoy the spectacle and find out about life in Britain a thousand years ago. It is planned to launch 'The Bear' on Friday afternoon and we would be grateful if any members at the club on that day could be mindful of where they park. She is being towed and launched by a landrover and will require plenty of turning space to access the foreshore and slipway. We have permission to use the lower car park and suggest that members use this throughout the weekend. Dinghy Club will take place as scheduled on Saturday and racing as usual on Sunday. Push the Boat Out visitors will be welcomed and taken afloat, weather permitting, on both days. Alison Dodd has kindly volunteered to run a galley for us on both days although members of Regia Anglorum will be catering for themselves using traditional methods where possible. This promises to be a very interesting addition to club activity and we hope that members will enjoy the experience and will welcome our visitors in your usual friendly way.